Why Do People Use Bilberry? Oral preparations of Vaccinium myrtillus (Bilberry), like bilberry powder, are used for enhancing visual acuity including night vision, degenerative retinal conditions, cataracts, atherosclerosis, varicose veins, chronic fatigue syndrome (CFS), venous insufficiency and hemorrhoids. It is also used orally for angina, osteoarthritis, diabetes, dermatitis, gout, kidney disease, gastrointestinal (GI) disorders and urinary tract infections (UTIs). Topically - It is used for the inflammation of throat mucous membranes and mouth. Likely Safe - Oral and appropriate usage of bilberry powder is considered safe to use if used in amounts commonly found in food items. Bilberry has attained Generally Recognized As Safe status (GRAS) for use in foods in the United States. However, fruit extracts of bilberry have been safely used in clinical trials. Possibly Unsafe - The leaves of bilberry are unsafe when used orally for prolonged time in high doses. However, there are some cases reporting death due to chronic use of 1.5 g per kg bilberry powder every day. Avoid Using in both Pregnancy And Lactation - To rate the safety of bilberry fruits during pregnancy and lactation, there is scarce and unreliable information available. In following conditions Vaccinium myrtillus is thought to be effective: Retinopathy - Oral intake of bilberry fruit appears to improve the retinal lesions from hypertensive or diabetic retinopathy. There are ineffective results are reported in following conditions/diseases: Night vision - There are conflicting evidence about the effectiveness of bilberry powder to enhance the night vision, but available researches is of low quality. However, according to most rigorous research, there are no significant results reported for improving night vision by the use of bilberry preparations in human being. The most effective parts of Vaccinium myrtillus are the leaves and fruit. The dried, ready fruit consists of tannins and a variety of anthocyanidin (anthocyanoside) constituents such as delphinidin, malvidin, cyanidin, petunidin, peonidin, and others. Anthocyanidin concentration ranges from 300 mg - 700 mg every 100 grams of fruits but content may depend on region of production. Clinical experiments suggest that these constituents are broadly distributed in the whole body after oral administration and are removed by the kidneys. After usage of a particular extract of bilberry (Bilberon 25, Tokiwa Phytochemical Co.), containing 15 diverse anthocyanidins, peak plasma concentration was accomplished within 15 minutes in an animal model. Bioavailability for the anthocyanidins ranges between 0.61% - 1.82%. For all anthocyanidins, combined, bioavailability was 0.93%. Bilberry leaves also consist of flavonoids such as quercetin; polyphenols such as resveratrol and a comparatively high concentration (9.0 ppm) of chromium. Raw bilberry fruit may include higher amount of a few constituents when compared to cooked bilberry. Heating bilberries, for 18 minutes at 190°C, leads to loss of 17% - 46% of resveratrol constituent because of degradation. Anthocyanidins in bilberry are thought to have number of natural impacts such as decreasing vascular permeability, increasing the synthesis of glycosaminoglycans, aiding in the redistribution of microvascular blood flow, reducing basement membrane thickness and the formation of interstitial fluid. An anthocyanidin pigment found in bilberry fruit may have gastroprotective and anti-ulcer effects. According to some laboratory research, anthocyanidins have anti-edema and anti-inflammatory effects. Initial research confirms that a bilberry leaf extract may have triglyceride, blood glucose and cholesterol lowering effects. What Are The Side Effects /Adverse Reactions of Bilberry? There is no significant side effect reported due to oral or topical consumption of bilberry powder. How Bilberry Interacts With Other Herbs and Supplements? Herbs and Supplements Containing Chromium Effects - There is significant amount of chromium in bilberry, which can enhance the potential risks of chromium toxicity when taken with chromium containing supplements or herbs such as cascara, brewer's yeast or horsetail. Herbs and Supplements with Hypoglycemic Potential - Bilberry leaves may have additive impact in human being with herbs that reduce the blood glucose levels. Herbs with hypoglycemic potential include fenugreek, devil's claw, guar gum, garlic, Panax ginseng, horse chestnut, Siberian ginseng, psyllium and others. How Bilberry Interacts With Drugs? Antiplatelet or Anticoagulant Drugs - Interaction rating between bilberry powder and drugs with Antiplatelet / Anticoagulant properties is moderate, so be careful while using this mixture. Initial studies recommend that anthocyanidin from bilberry can inhibit platelet aggregation. Combination of bilberry and anticoagulant and antiplatelet drugs may enhance the potential risks of bleeding. Some of these drugs include clopidogrel (Plavix), aspirin, enoxaparin (Lovenox), dalteparin (Fragmin), indomethacin (Indocin), heparin, warfarin (Coumadin), ticlopidine (Ticlid) and others. Antidiabetes Drugs - Interaction rating between bilberry powder and anti-diabetic drugs is moderate so be careful while using this combination. Initial clinical studies on animal models suggest that leave extract of bilberry leaf may have blood glucose lowering activity. Utilization of bilberry leaves may require dose adjustment of anti-diabetes drugs so dosage should of such patient should be regulated closely. How Bilberry Interacts With Foods? How Bilberry Interacts With Lab Tests? 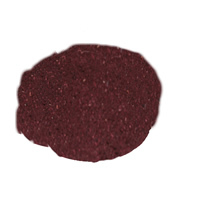 Blood Glucose - Bilberry powder may result in lowering of blood glucose and related test results. Initial experiments suggest that a bilberry leaves extract may have blood glucose lowering activity. Triglycerides - Leaves of bilberry may decrease the serum triglycerides and related test results. Initial experiments suggest that particular extract of bilberry leaves may have triglyceride lowering activity. How Bilberry Interacts With Diseases and Conditions? Diabetes - Vaccinium myrtillus may play its role in reducing blood glucose. According to initial studies, bilberry leaves extract may have blood glucose lowering effects; therefore blood glucose level of such patients should be monitored carefully. Surgery - Bilberry may interfere blood glucose levels. Bilberry may alter the blood glucose control during surgical procedures. Therefore, patients should stop using bilberry minimum two weeks before their suggested surgical procedures. What Should Be the Dose/Administration of Bilberry? ORAL For retinopathy treatment, 160 mg of bilberry extract should be taken twice every day. 20 to 60 grams of dried ripe berries can be consumed every day. Bilberry is closely related to blueberry. Bilberry is produced in various region of North America and Europe. During period of World War II, Royal Air Force’s pilots used to eat bilberry jam to enhance the night vision.